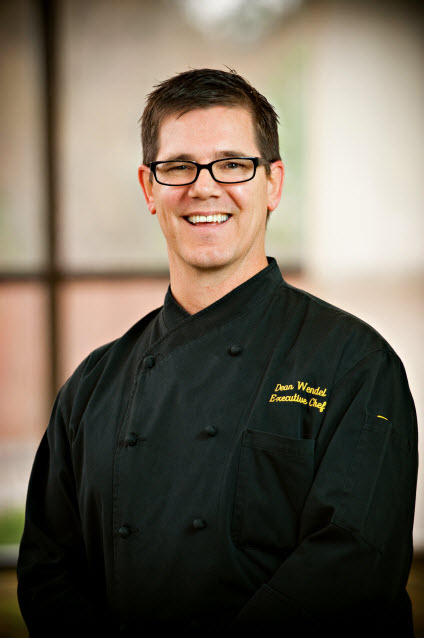 With a passion for using local, North Carolina ingredients, Chef Dean Wendel is the mastermind behind the eclectic menu at Flights, located at The Raleigh Renaissance in North Hills. Chef Dean can often be found perusing the North Hills Farmers’ Market for farm-fresh ingredients to use in his exceptional, Southern dishes. He is dedicated to buying local because the ingredients are of higher quality and have excellent flavor. Chef Dean is highly skilled; a graduate of Johnson & Wales in Providence, R.I., and apprentice under Master Chef Antoine Flueri in Stowe, Vt. I had the opportunity to join the talented Chef Dean Wendel for dinner at Flights. One starter you shouldn’t miss is the crab cake stack; a lump, crispy crab cake sitting atop a fluffy, smoked cheddar biscuit. 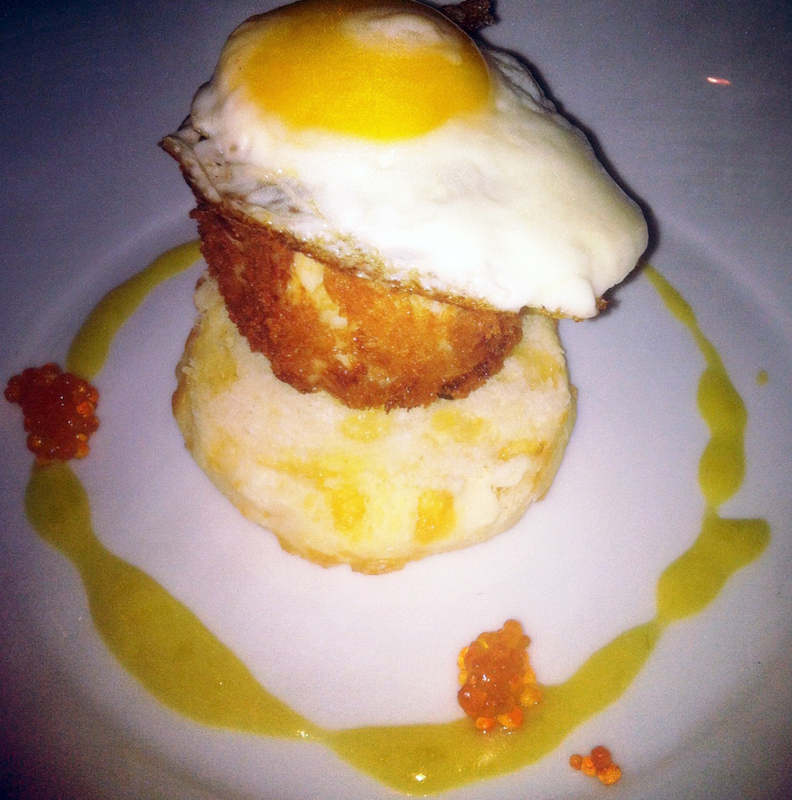 But wait, it gets better and taller - the stack wouldn’t be complete without a fried egg and jalapeno hollandaise. The crab cake stack is full of flavor and the last bite left me wanting more. While putting a dent into the crab cake stack, Chef Dean explained that he purchases local free-range eggs from Cohen Farms. The quail eggs used in a few menu items are even local, coming from a farm only two miles down the street. That’s sustainable! If you want another dish that exemplifies North Carolina goodness with a twist, order the seared potato gnocchi. 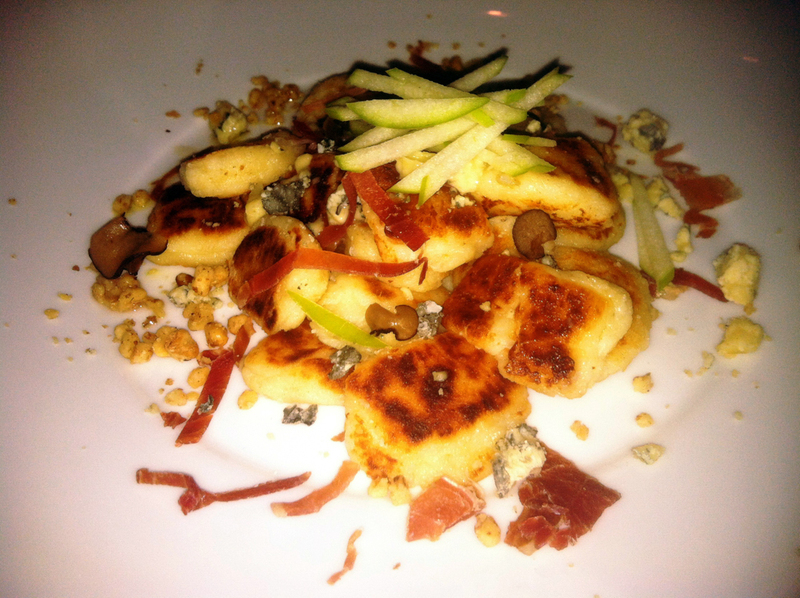 The golden brown potato gnocchi is topped with local Johnston County prosciutto, Ashe County Carolina blue cheese and walnuts. The apples add a slight sweet flavor to this savory, cheesy dish. Chef Dean and I split two entrées. The first dish was the Sunburst Farms trout, which was excellent and topped with a delicious brown butter. My favorite part of the dish was the side of beet risotto; aromatic and extra creamy. I especially enjoyed the second entrée, seared scallops with bacon, butter roasted cauliflower, apples, and cider emulsion. You can’t go wrong when pairing bacon and seafood! These plump scallops were tender, buttery and perfectly seasoned. Perhaps the most well-known dessert on Flight’s menu is the hot cheesecake. Seriously, it’s phenomenal. A restaurant patron even requested Chef Dean to ship the cheesecake to Tennessee using dry ice. Chef Dean was given this recipe more than 30 years ago and only one other person in the entire world knows the recipe. Preparing the cheesecake is a nine hour process - quite tedious, don’t you think? The flavors of the hot cheesecake are changed with the seasons including key lime, pumpkin spice, cappuccino and more. After viewing a movie at the North Hills Theater, walk over to Flights and split a piece of hot cheesecake, which melts in your mouth and goes perfectly with a cup of coffee. The apple spice cobbler is another amazing dessert you should try. 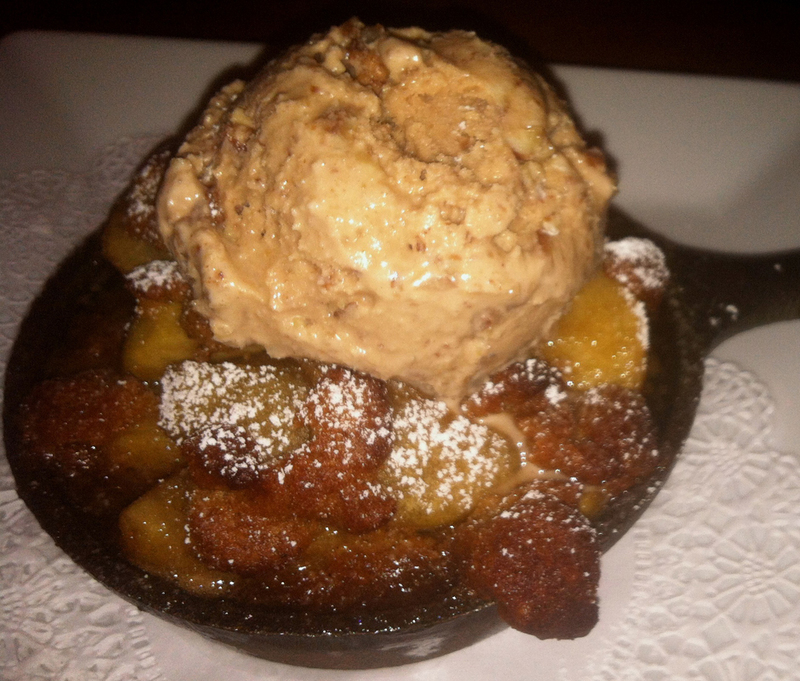 The cobbler is served in a small cast iron skillet and topped with butter pecan gelato. 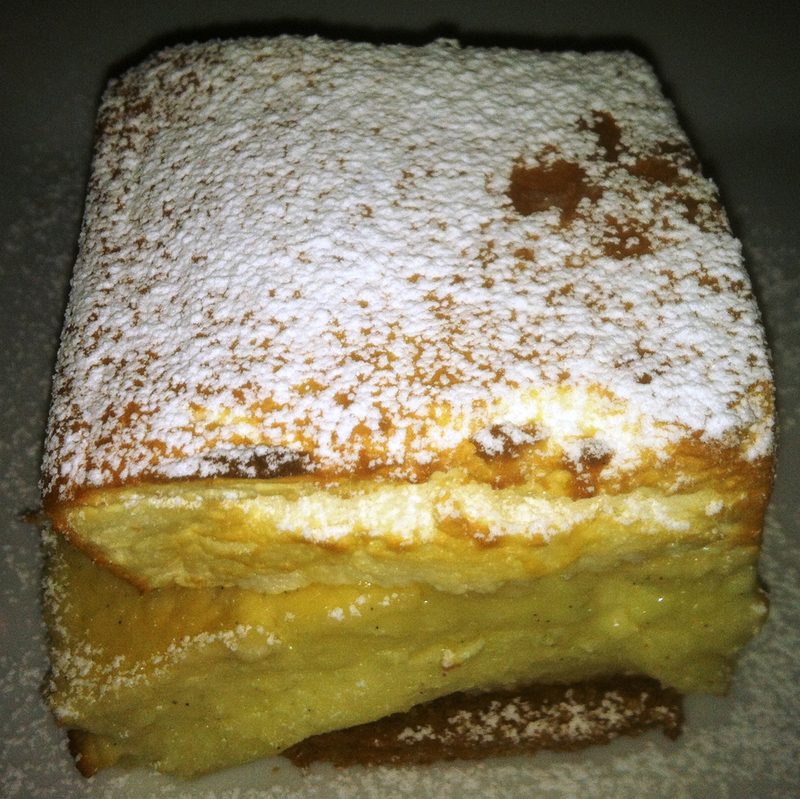 You can’t go wrong ordering a dessert from Flights, what a sweet, Southern way to end an outstanding meal. 1. A food I can’t live without: Peanut butter. 2. 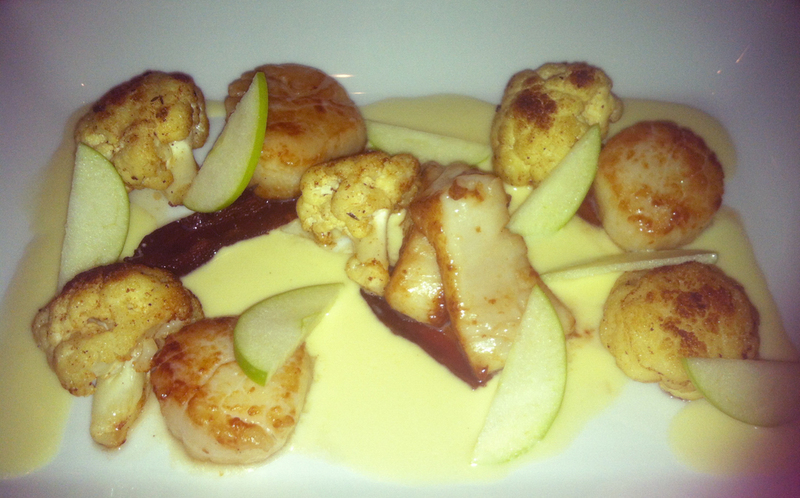 My favorite menu item: The seared scallops and butter roasted cauliflower. 3. On my iPod right now: Pink Floyd, Skynard, Marshall Tucker, Guns and Roses, and Led Zeppelin. 4. My must-have Carolina ingredient: Local wild flower honey. 5. Beverage of choice: Tequila. 6. When I have a day off I&apos;m: If you are lucky…watching sports, movies, or eating at a non chain restaurant. 7. My home fridge holds: Organic yogurt, lots of berries (some will be moldy), and local eggs. 8. Best aroma in the world: Fresh brewed coffee. 9. My favorite North Carolinian, any time period, real or fictional, is: My son Brandon, (he is the only one of us actually born here). Ok, seriously my grandson Mason. For real now, Roman Gabriel. He was a childhood hero of mine, I am a Rams fan and he was QB. Even thought He went to N.C. State but I still like him. 10. If I could cook for anyone, it would be: My parents, although they knew what I had done, I never really got to cook for them or have them eat at any of my restaurants. My father was a chef and I think they would have enjoyed it.